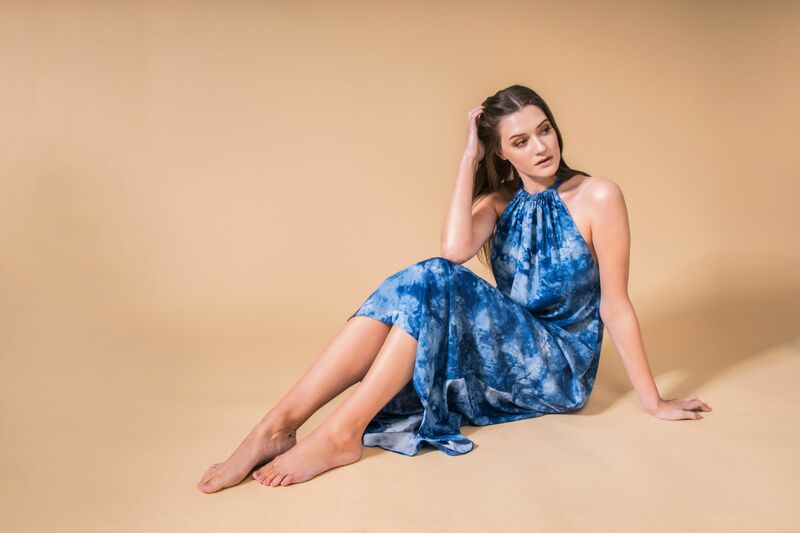 Maxi dress ,super stylish tie dye blue sleeveless Isla dress. Dress has adjustable neck tie. 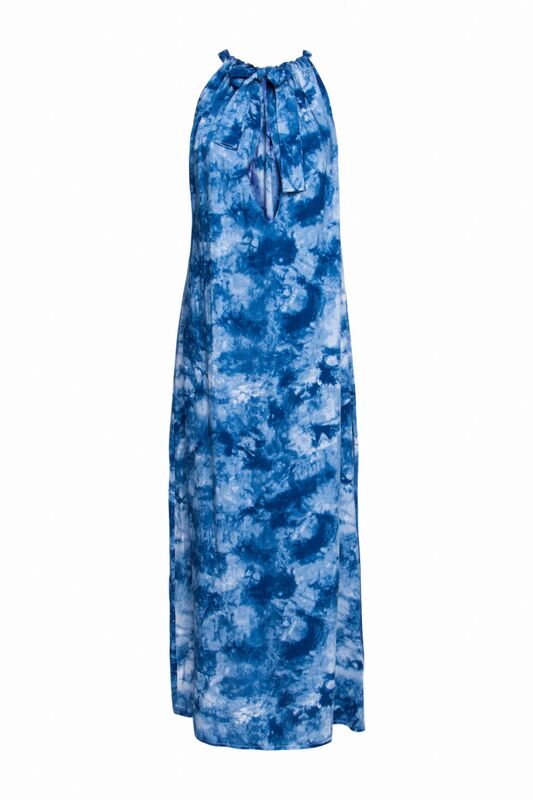 Created in soft viscose fabric. Dress it down with flats for beach holiday. 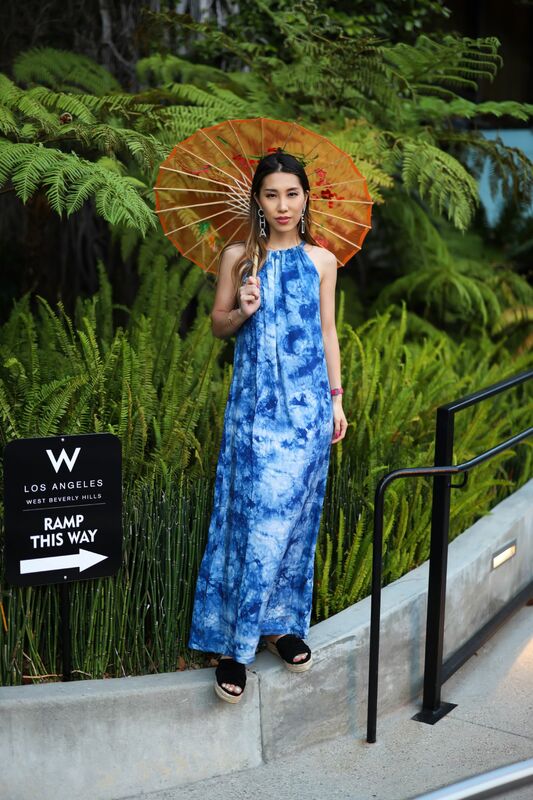 Style it your way!